Hip Baby Blog: "Babywearing" workshop at Hip Baby. "Babywearing" workshop at Hip Baby. There are so many things about being a parent that need your attention and it often feels that being a modern parent also means being a research specialist. The birth, breast feeding, diapers, food introduction, safe toys, safe feeding; then comes pre-school, then school, then... well, you get the picture. At Hip Baby we like to bring you some engaging workshops to help cut the time of research by connecting you with someone who knows the subject at hand. This coming Tuesday June 28th from 7pm to 8pm, join Dr. Sabrina Chen-See, BSc, DC, BCAO, CACCP, to hear what you need to know about Babywearing. Find out how easy it can be and why it's so great for both parent and child. Learn to "do it right" for baby's comfort and for the sake of your back and spine. This workshop is FREE and recommended for all new parents and parents-to-be. In her intimate and interactive workshop, Dr. Sabrina will show how babywearing builds important bonds with your child and ensures optimal brain and physical development. 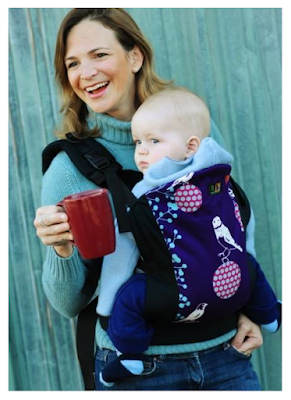 Dr. Sabrina will also talk specifically about some of the great carriers we stock at Hip Baby, like Beco, BabyBjorn, Maya Wrap and Moby. This is a FREE workshop! Light refreshments will be provided and all participants will receive a small gift as well as a 15% discount card for Hip Baby. Room is limited so please call the store at 604 736 8020 or email us at info@hipbaby.com to reserve your spot.